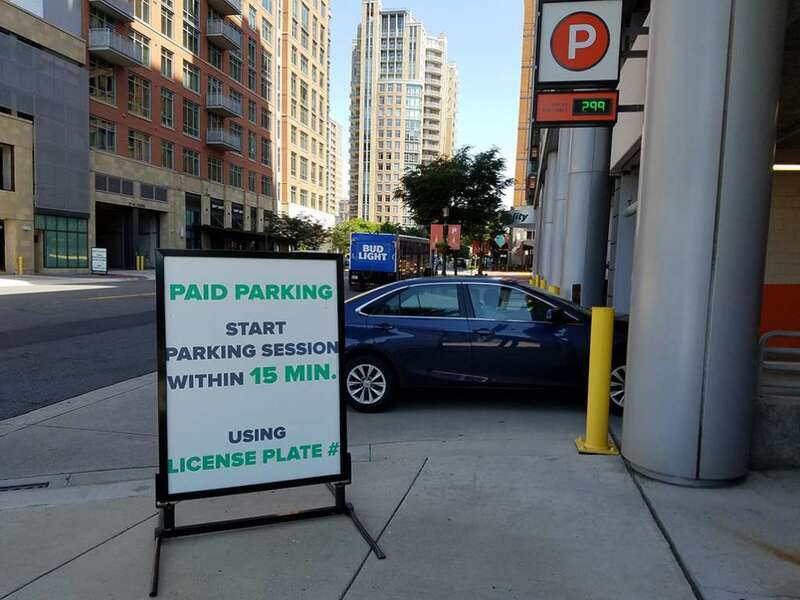 After repeated member comments on the issue, the Reston Association Board of Directors will consider taking a more aggressive role regarding the paid-parking situation at Reston Town Center. In May, members Suzanne Zurn and Paul Steidler addressed the Board and asked directors to take a position against paid parking at the Town Center. Steidler again addressed the Board on the matter at its June meeting. In her statement, Zurn — who has created an online petition about the issue that has nearly 10,000 signatures — argued that the ParkRTC system has negatively affected the Reston community. As of June 5, Boston Properties stepped back from 24/7 paid parking at RTC, allowing for free garage parking after 5 p.m. each day, along with one hour of free parking prior that time. Monday morning, Reston Town Center posted on its Facebook page that its parking garages now feature “easier-to-use” park-and-pay kiosks that do not require use of the ParkRTC app. Reston Association’s Board of Directors will meet at 6:30 p.m. Thursday at RA headquarters (12001 Sunrise Valley Drive), and the meeting will also be broadcast live on RA’s YouTube channel.